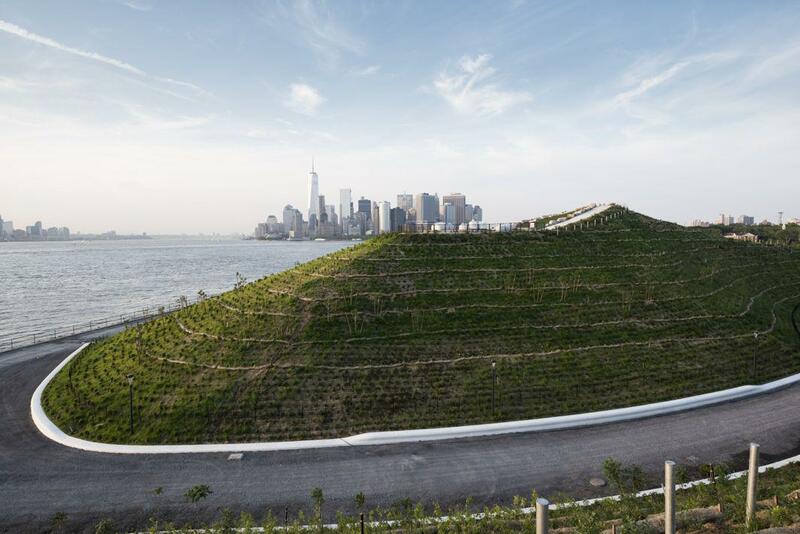 The Hills on Governors Island is NYC’s newest green space. 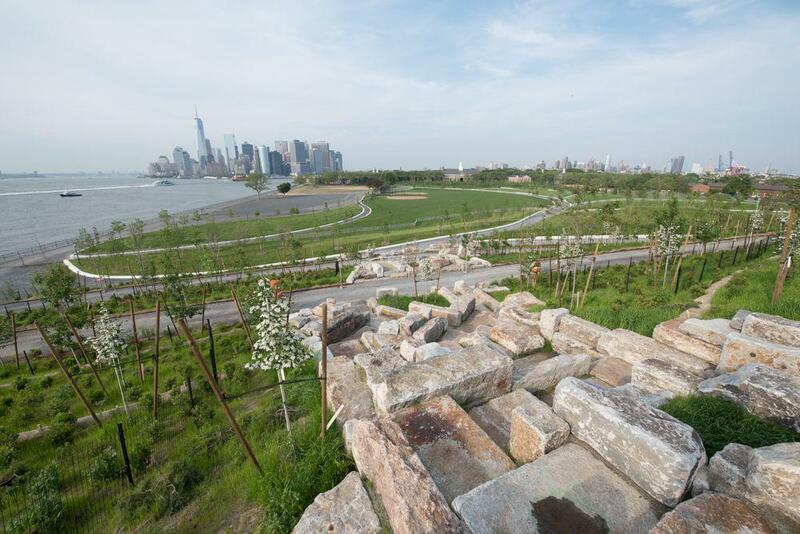 On Tuesday, a 10-acre public park opened on Governors Island in New York City. 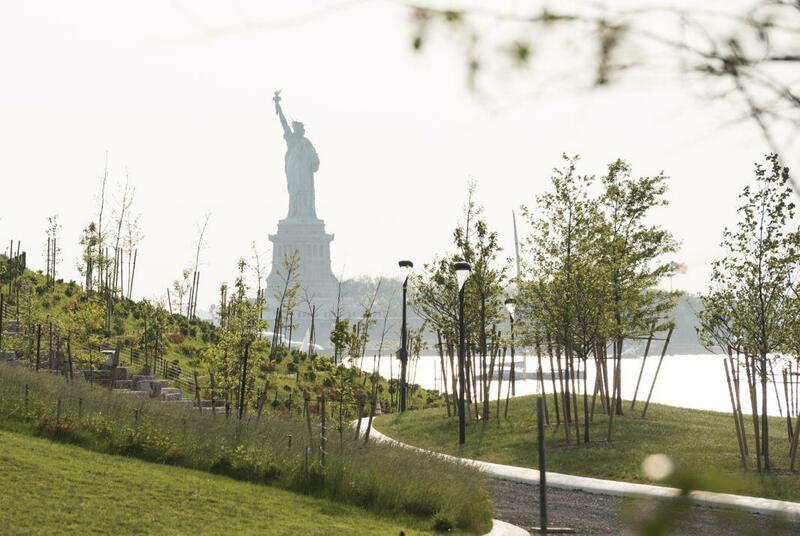 Once an abandoned military base in New York Harbor, the island is being transformed into a 21st-century destination for urban dwellers in need of some wide-open green space. 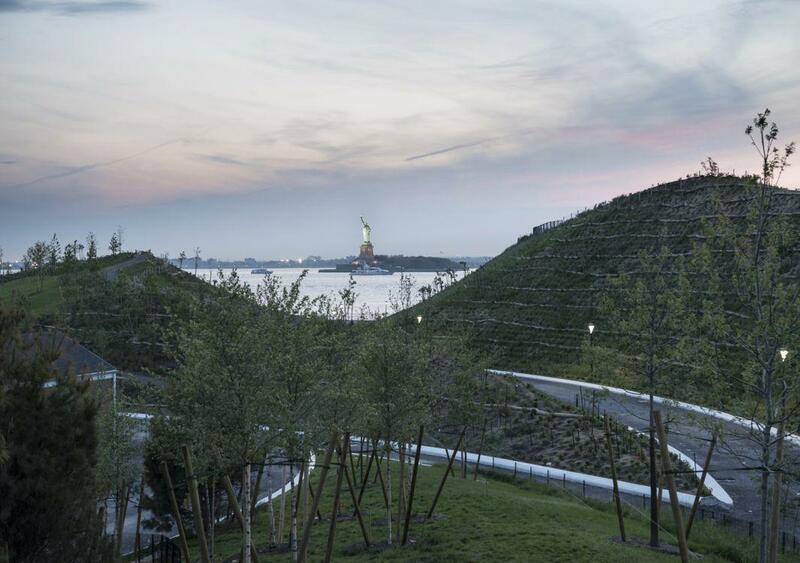 Designed by landscape architect Adriaan Geuze and his team from West 8 (which won an international design competition in 2007 for the design of the Governors Island Park), the Hills is the newest addition to the park and public spaces on the 172-acre island (the first 30 acres opened to the public in 2014). Now that the “crowning feature” of the park has opened, visitors can walk or bike along a 2.2-mile promenade around the island and have lunch at Picnic Park, according to a press release. It’s part of a grand ambition more than a decade in the making to turn this overlooked piece of real estate into a year-round destination for New Yorkers and tourists. “Visitors entering New York harbor in the 21st century will be welcomed by a thriving Governors Island, in the same way they were welcomed by Ellis Island in the 19th and 20th,” Mayor Bill de Blasio said. 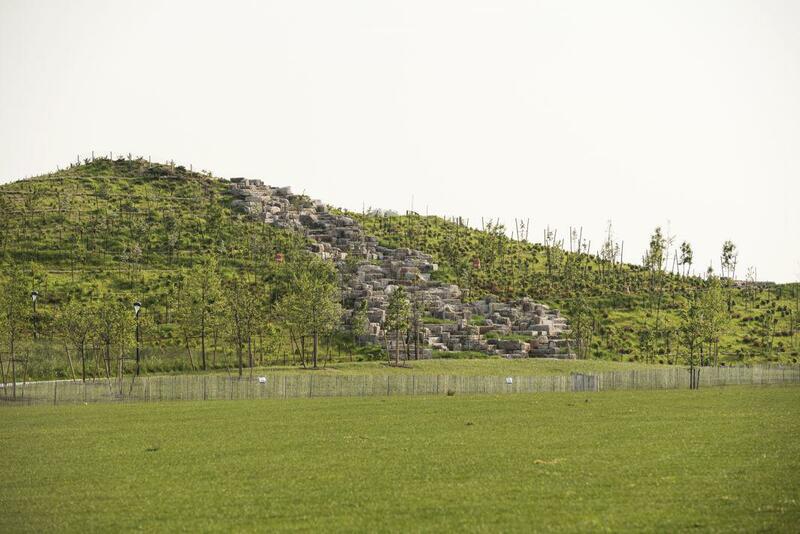 The Hills adds 41,000 shrubs and more than 860 trees to the city’s public green space. Less central than Central Park, it requires a seven-minute ferry ride from the Battery Maritime Building in Manhattan or Pier 6 in Brooklyn Bridge Park. 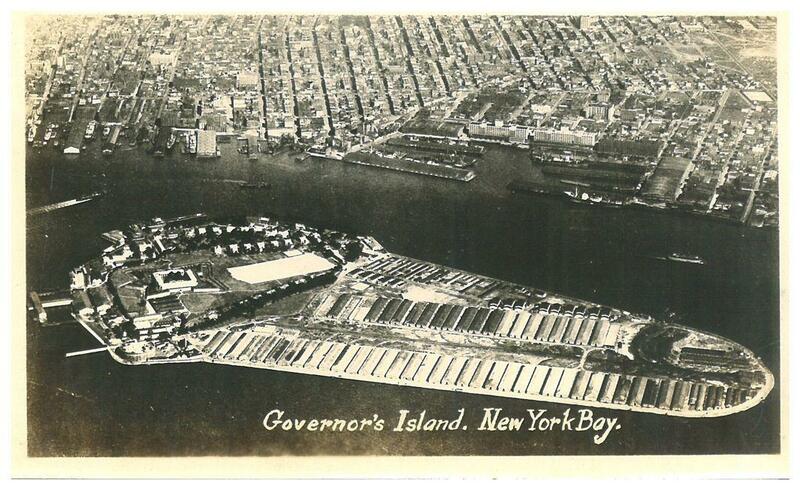 Historic postcard of World War I-era Governors Island, when dozens of warehouses on the southern part of the island were used for the war effort before being transformed into The Hills. If the classically beautiful landscape of Central Park (designed in 1857) was conceived as a respite from the city, the Hills has an open, airy, decidedly contemporary design that is all about highlighting the site’s panoramic 360-degree views of the harbor; the Statue of Liberty; and the Lower Manhattan, Brooklyn, and Jersey City skylines in the near distance. 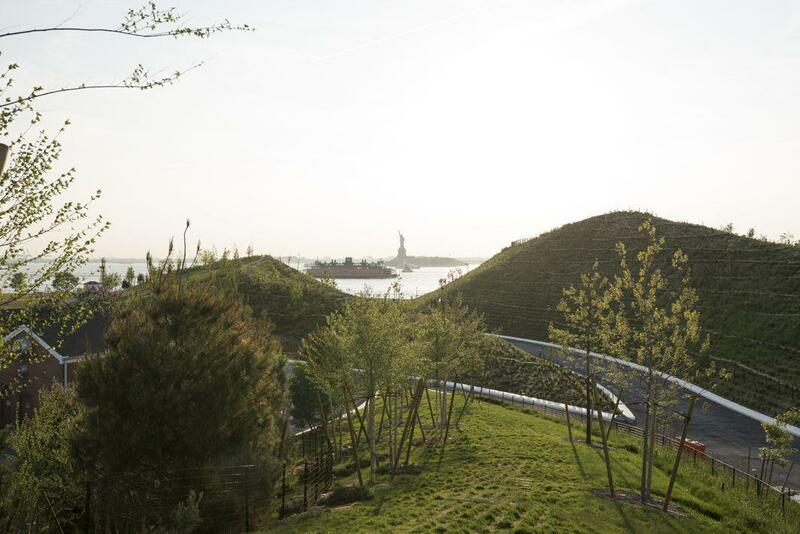 The new park includes four man-made hills that rise from 25 to 70 feet above the island, filled with recycled debris from old residential buildings and parking lots that were demolished on the site, as well as pumice stone that helps keep its weight down. 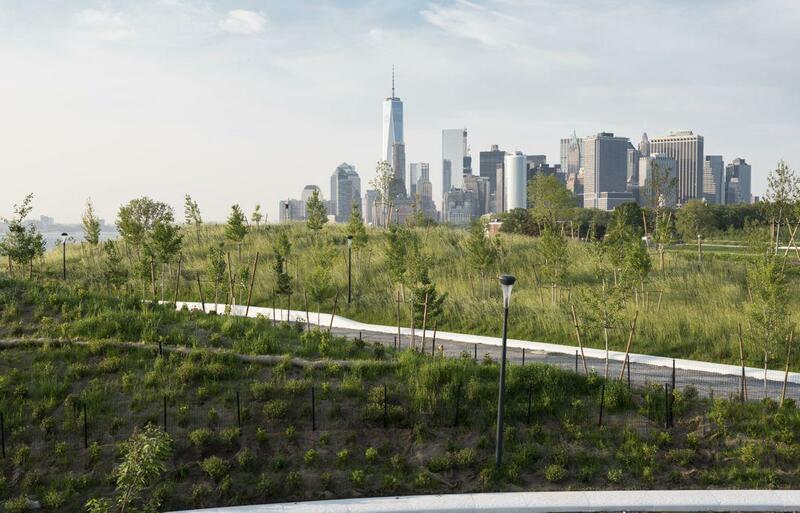 Grassy Hill is a 25-foot-high “gentle grassy slope” overlooking the Manhattan skyline. 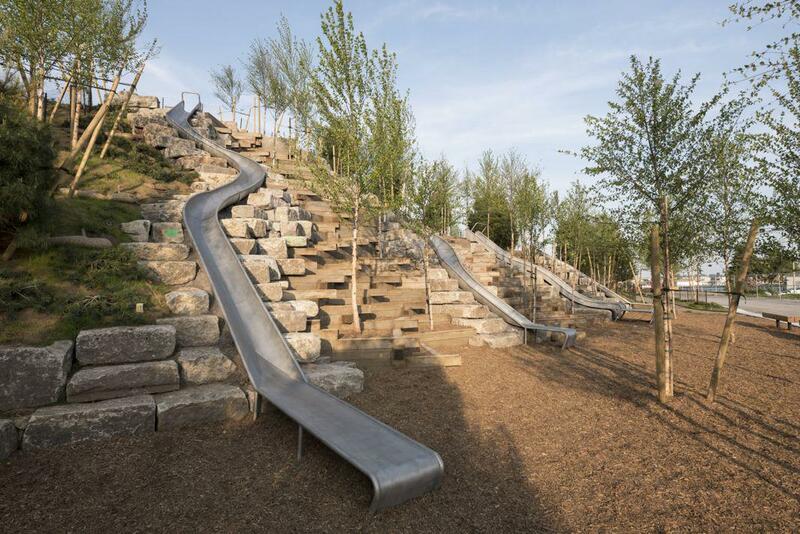 At 40 feet high, Slide Hill has a 57-foot-long slide embedded into the landscape. 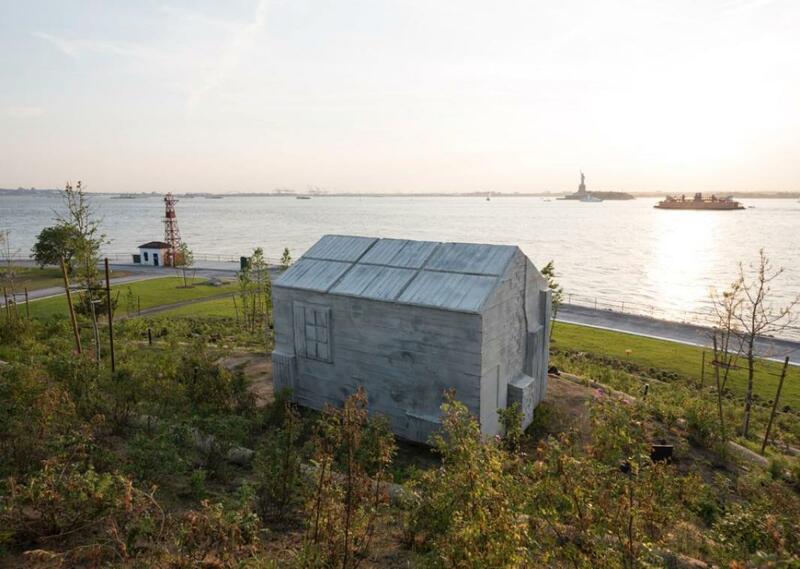 The 40-foot-tall Discovery Hill includes a site-specific sculpture by British artist Rachel Whiteread that is a concrete cast of a cabin that looks both familiar and alien with the backdrop of the big city looming. Visitors can climb up the Scramble, made from granite blocks from a former Army seawall, to the top of the 70-foot-tall Outlook Hill, no doubt the site of many future first kisses.